Click and give. That’s right: Supporters of wildlife conservation in Georgia can now donate online to the Nongame Wildlife Conservation Fund. The new addition to DNR’s license/permit system at www.gooutdoorsgeorgia.com offers options to make a set donation or round up license purchases or renewals with the extra going to conservation. 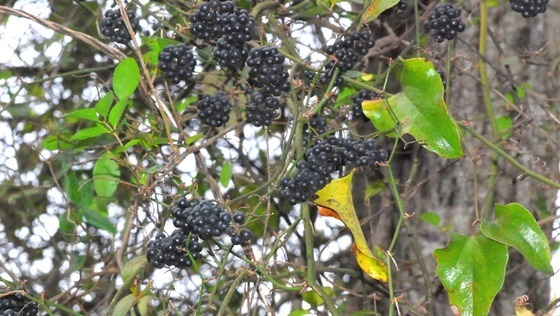 Contributions are critical to restoring and protecting rare and other wildlife not legally fished for or hunted in Georgia, plus rare plant species and the habitats these animals and plants need. This work by DNR’s Nongame Conservation Section depends mainly on grants, fundraisers and direct donations. Donors new to the website will select “Licenses and Permits,” then create a customer account. 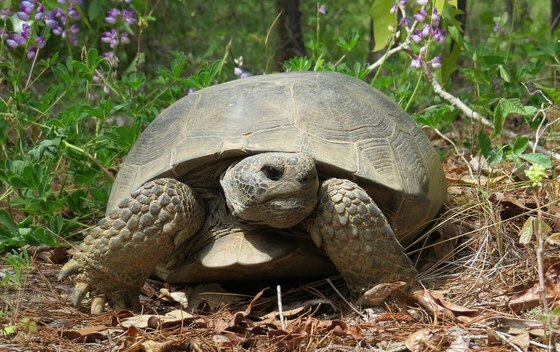 From there, you're only a click away from turning your appreciation for gopher tortoises, Georgia aster and other native species into financial support. You don’t have to buy a license to donate. But there’s good reason to. In addition to sporting privileges and lands access, a license provides more funds for wildlife work. Buying even a $5 one-day hunting/fishing combo license can return to Georgia up to $45 in federal excise taxes paid by hunters and anglers. Gooutdoorsgeorgia.com offers a $15 Keep Georgia Wild package. It bundles a $10 donation to the Nongame Wildlife Conservation Fund with a one-day license. When I recently found a mature female Ummidia trapdoor spider it was, well, a moving experience. 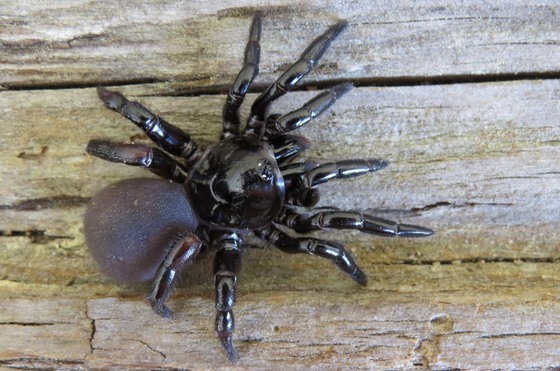 Trapdoor and purseweb spiders, both classified in the infraorder Mygalomorphae (the “mygalomorphs”), are fascinating members of Georgia’s diverse spider fauna. New surveys and studies are shedding light on these cryptic creatures, including where they’re found and the description of new species. 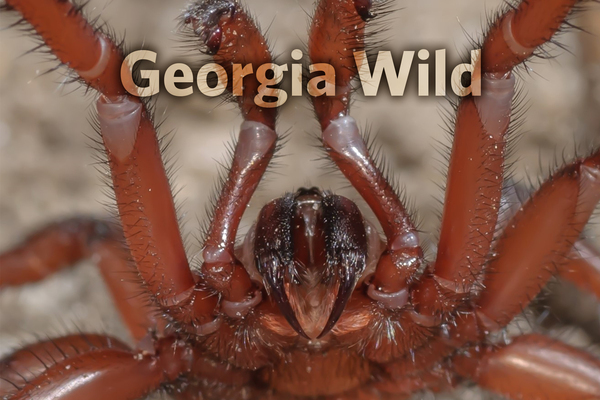 Read Dirk’s blog post about the search for trapdoor and purseweb spiders in Georgia, plus a detailed profile of both (and this quick Creature Feature look). Included: How purseweb spiders attack prey through the walls of their homes. 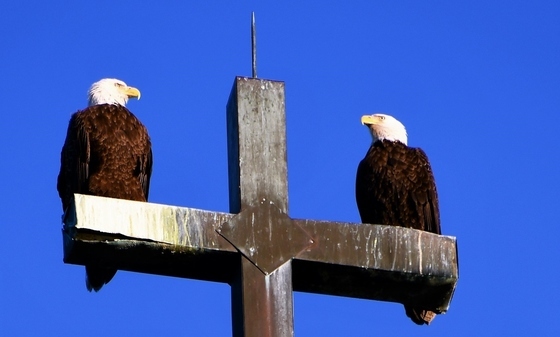 Dirk J. Stevenson is a naturalist and owner of Altamaha Environmental Consulting. It was not the North Atlantic right whale calving season anyone wanted. When winter survey flights ended last month, 11 adult right whales and zero calves had been seen in the Southeast. This is the first winter since surveys began in the 1980s that no calf has been documented off Georgia and Florida, the imperiled whales’ sole known calving grounds. Last winter’s calf count was one. Adding insult to injury, 17 dead right whales were documented along the Atlantic Seaboard in 2017. 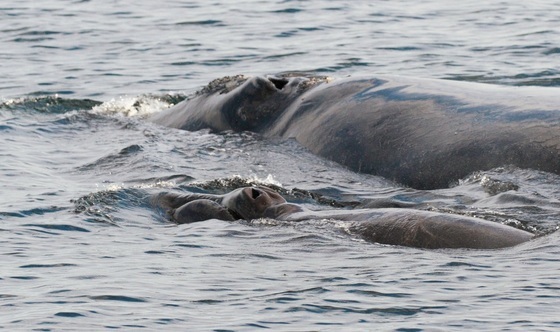 There only about 450 North Atlantic right whales left. Fewer than 100 of them are breeding females. Researchers think the low calving numbers in recent years are linked to poor foraging conditions in New England and Canada caused by rising sea temperatures and current changes in the northwest Atlantic. Entanglements in commercial fishing gear also continue to plague this species. Concern fed by the downward spiral sparked media coverage (see "Headlines" below) and even some changes for shipping and commercial fishing in northeastern U.S. and Canadian waters aimed at better protecting right whales. If you’re like me, you spent a few days this winter preparing your yard for spring. As part of that work, chances are you became reacquainted with greenbrier. When the vine's abundant thorns snag your clothing or skin, you don’t soon forget it. Greenbrier thrives in a range of habitats, and in both shade and full sunlight. To the chagrin of Georgia gardeners, greenbrier also has a propensity to thrive in our yards. Read the rest of Terry’s column to learn about greenbrier’s good side. 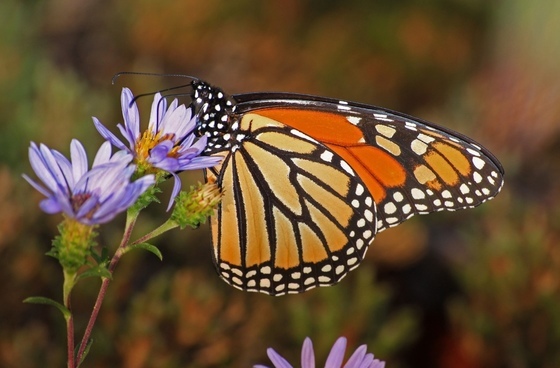 Interested in monitoring monarchs? Monarchs Across Georgia and DNR’s Nongame Conservation Section will train volunteers April 28-29 in Brunswick. Depending on demand, a session also may be held in the Piedmont region. Register here. The declining butterflies are a candidate for Endangered Species Act listing. Also see: State Botanical Garden’s milkweed and monarchs brochure. Georgia freshwater turtles are better protected through new regulations that limit export to permitted turtle farms. The amended regulations do away with hard-to-enforce annual harvest limits and permits for commercial collectors. When signed by Gov. Nathan Deal and if approved by voters in November, the Georgia Outdoor Stewardship Act will dedicate up to 80 percent of sales-and-use taxes on outdoor sporting goods to “maintain and improve access to wildlife management areas, protect lands critical to clean water, and acquire and improve parks and trails,” according to the Georgia Outdoor Stewardship Act Coalition. The organization estimates the initial dedicated revenue at about $20 million a year. Related: State Wildlife Grants funding, critical for states conserving wildlife, increased slightly for fiscal 2018 but faces a proposed 50 percent cut in 2019. 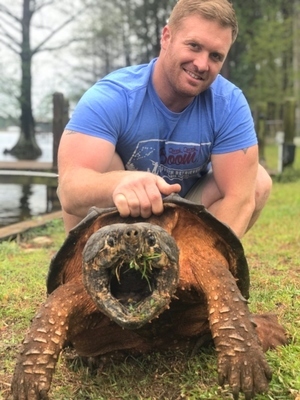 This hefty alligator snapping turtle was a surprise catch for Cordele’s Brandon Roberts, who was fishing for catfish at Lake Blackshear. Roberts managed to safely remove the hook and release the gator snapper, a protected species and the largest of North America’s freshwater turtles (“Searching for leviathan,” Oct. 13, 2016). Sea turtle nesting season starts soon and the Georgia Sea Turtle Cooperative spring’s meeting is April 18 at DNR Coastal Regional Headquarters in Brunswick. In 2017, there were 2,155 loggerhead nests – fourth-most since comprehensive surveys began in 1989 – and genetic analysis of egg samples identified 607 females nesting on Georgia beaches. Improve bird nesting prospects in your yard with help from this Georgia Wild video. And don’t forget that hummingbirds are returning and they’re hungry, making Terry W. Johnson’s column on the classic feeder fuel a must read. Related: Six reasons to leave young wildlife alone. Middle-schoolers can explore coastal Georgia’s wildlife and habitats at DNR’s Adventures in Conservation Education camp. A grant from TERN, friends group of the Nongame Conservation Section, has made registration for the July 16-20 camp even more affordable, only $150 per child. Register by May 20. 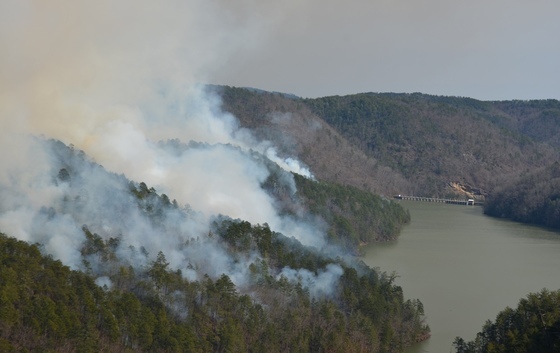 There’ll be smoke on the gorge when state and federal agencies conduct a controlled burn to benefit wildlife habitat and fire-adapted species at Tallulah Gorge State Park this spring, and possibly as soon as this week. The sixth prescribed fire in 15 years at the two-mile-long canyon will cover 1,300 acres of the northeast Georgia park and adjacent Chattahoochee National Forest and Georgia Power lands. Sign up for U.S. Forest Service #BurnAlerts. Secretary of the Interior Ryan Zinke announced more than $1.1 billion in annual funding for state wildlife agencies from revenues generated by the Pittman-Robertson Wildlife Restoration and Dingell-Johnson Sport Fish Restoration acts. That pushes total apportionment from federal taxes paid by hunters and anglers to $20.2 billion in nearly 80 years. Names in the news: The National Fish and Wildlife Foundation presented DNR Law Enforcement Division Director Col. Eddie Henderson the Guy Bradley Award for his lifetime contributions to wildlife law enforcement, forensics and investigative techniques. The award, named for the first game warden killed in the line of duty, is presented to one state and one federal recipient each year. DNR’s Brent Womack recently accepted a Georgia Water Coalition Clean 13 award on behalf of agency efforts to protect and restore land along Raccoon Creek. Womack, a biologist with the Game Management Section, has been instrumental in the Paulding County project. Georgia State University Perimeter College has become the newest, and 46th member, of the Georgia Plant Conservation Alliance. April 22 – Sea Turtle Research on Wassaw Island presentation (Caretta Research Project), part of Atlanta Audubon monthly meetings, 3:30-5:30 p.m., Manuel’s Tavern, Atlanta. Open to the public. — Sifting the truth about birds and salt. — DNR managers in Women Conservationists series. "Natural Georgia: Hard to sleep with brown recluse nearby," Dirk J. Stevenson, Savannah Morning News. 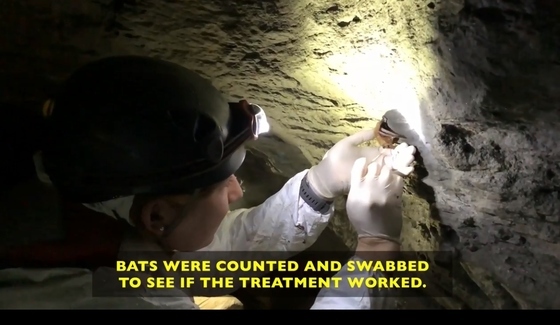 Also: "Adventures with sirens," "Jurassic dragonflies"
USA Today video on Recovery America's Wildlife Act (article).